Peel mango and remove fruit from core. Puree fruit in a blender until smooth. Zest and juice the lime and add both to blender. Add in mustard, sugar and salt and blend until smooth. Gradually pour in the vinegar and oil and blend well. 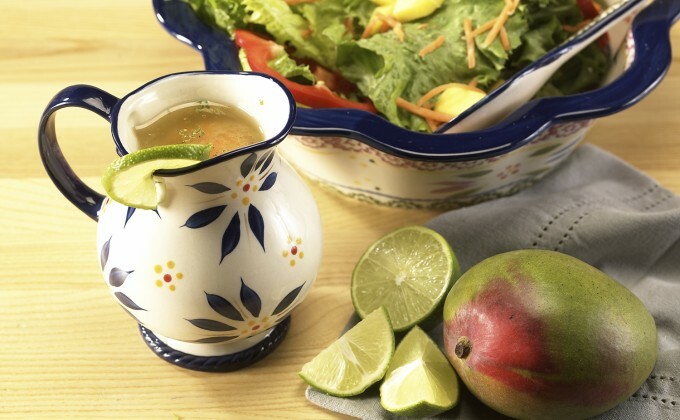 Serve in your temp-tations® mini pitcher and pour over desired salad or use as a marinade for chicken.